Macaws are birds unique to the tropical rainforests of South America, so they make ideal subjects for a postcard. After all, what is the purpose of a postcard? It is to tell someone else about the place you are in as well as how you are. 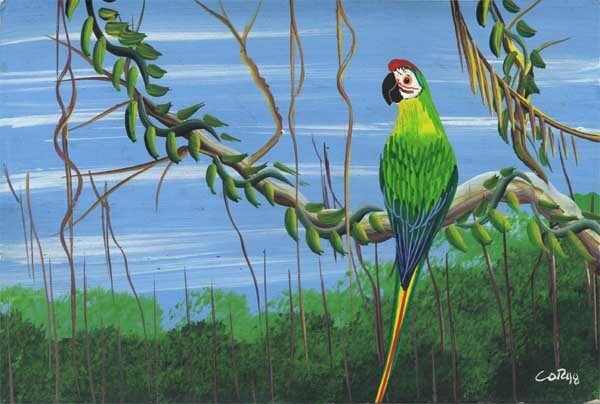 People collect postcards as mementos so iconic subjects, such as macaws, are ideal for people trying to sell the card. 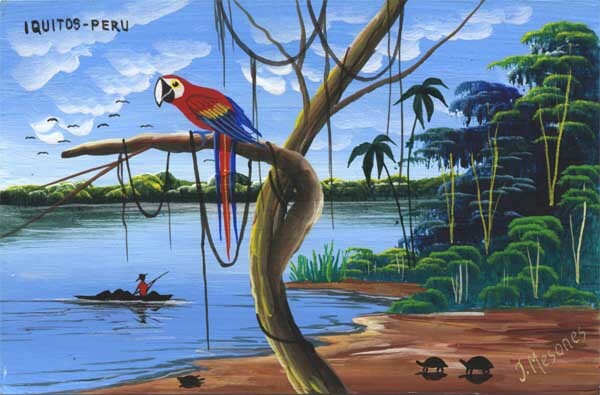 The macaw is a frequent topic for photo postcards too.